graciously saved: Let's Go Mavs!! 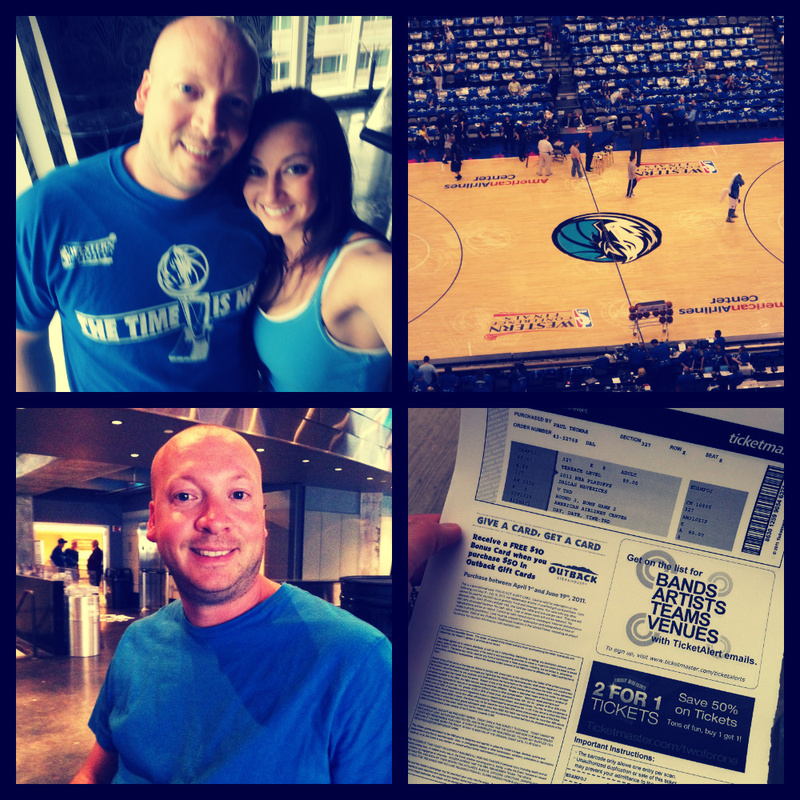 Dennis and I were lucky enough to go to the 2nd Mavs playoff game, we didn't win but we still had fun. I have already agreed that he can go to a finals game with his friend Jason, I am praying the ticket isn't like $1000 and I regret the decision. I know they will have fun and a much needed guys night. So with that said I know Dennis is praying they make it to the finals even more now:) Here are pictures from our night! Love him and yes, though I am a girl, I am a sucker for live sports games:) LOVE!